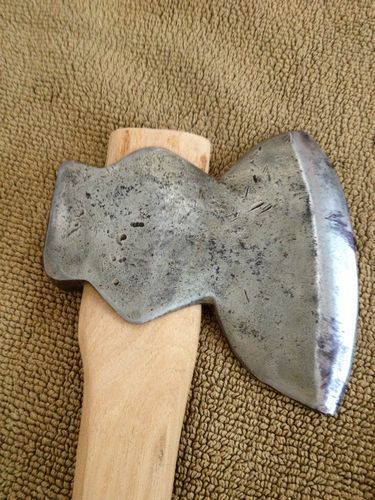 Just throwing in a few pics of some axes I have. The forest/ carpenters axe is a Granfors Bruks I picked up for $20 and reshaped the handle and the other is a single bevel hewing axe. The head of which I packed around for about ten years. I don’t usually buy wood for projects but I broke down picked up a real nice piece of hickory and shaped up the handle with a Stanley sure form and a sander. 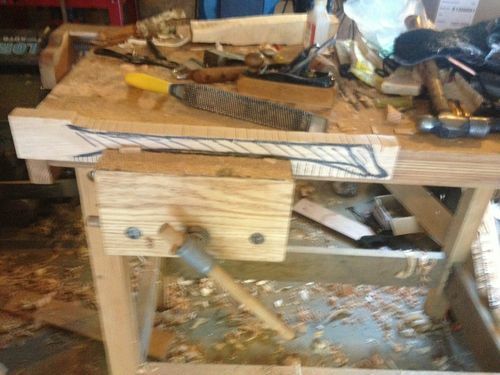 the handle is a bit whacky but it works really well for hewing up logs. 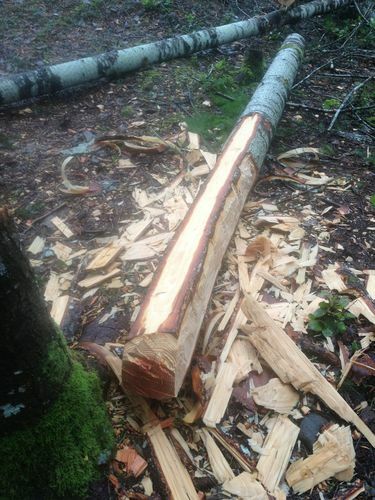 Cut a tree down with my double head (no pic) and limbed it and, cleaned the top with a drawknife. I then set out with these two to notch and hew myself a log. Its not easy work but not as hard as I expected. The axes really keep a nice edge.My boys love watching daddy chop down trees almost as much I enjoy doing it. 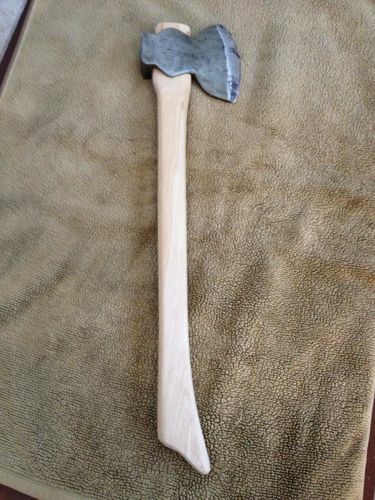 Just picked up a monster of an axe head the thing is 12 inches wide and weighs about 6lbs! Don’t know when I will get around to hanging it but I am putting it on the high priority list for sure. 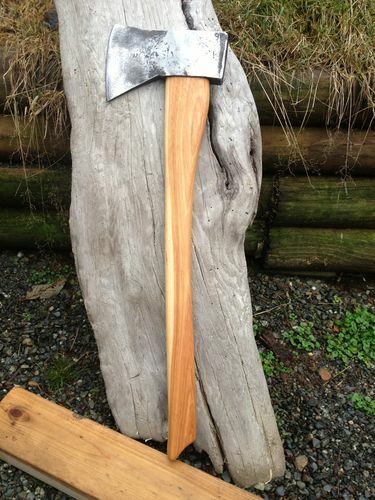 And I just ordered a Japanese carving axe for doing up some bowls and spoons. Time to get serious. Nice bit of shaping. That last pic is really showing it at its best. Nice. How thick is the blank when you start? I think it was about a half inch wider than the hole, two inches or so.